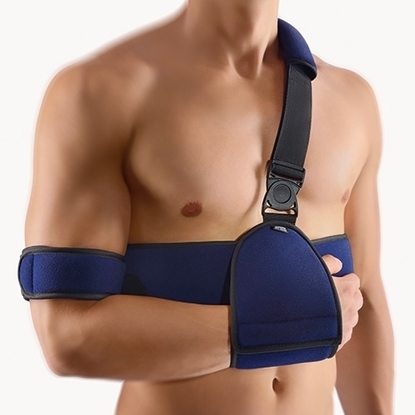 Shoulder and arm support. 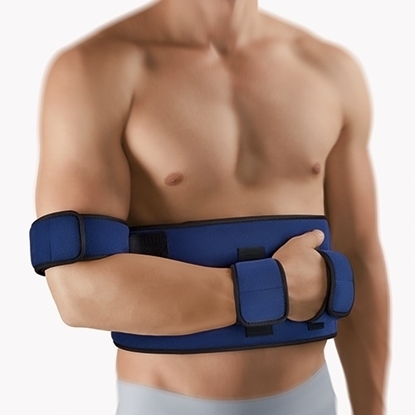 Circular enclosure of torso area. 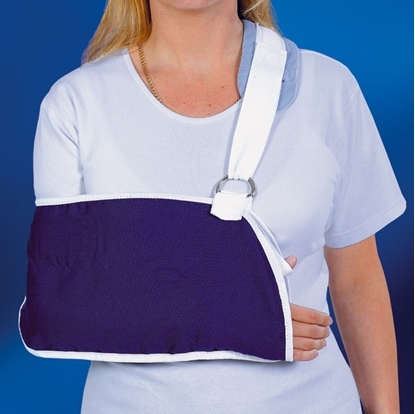 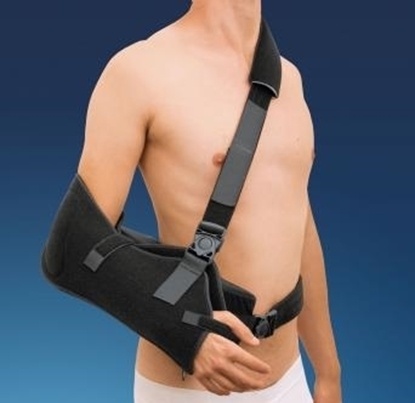 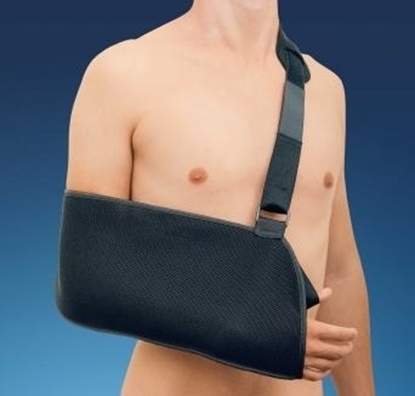 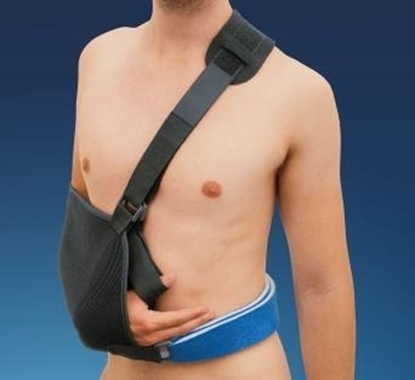 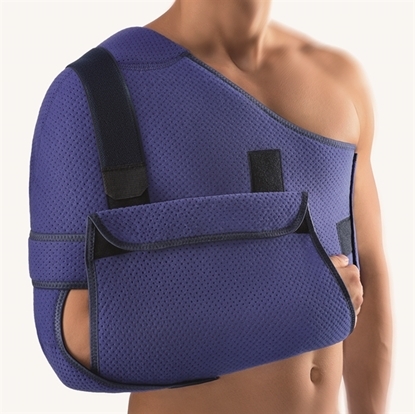 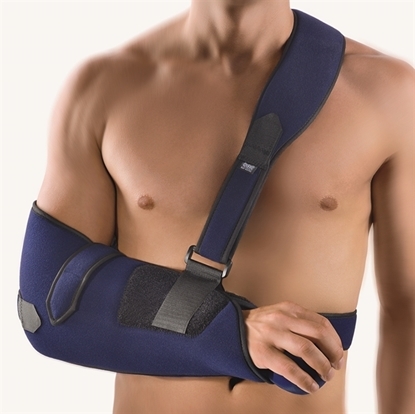 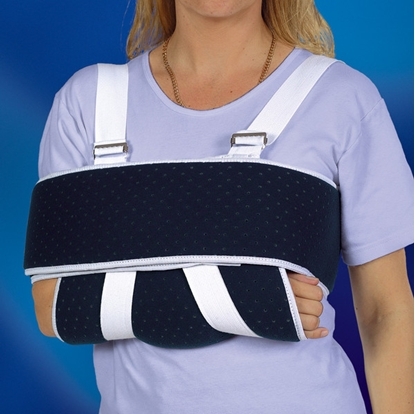 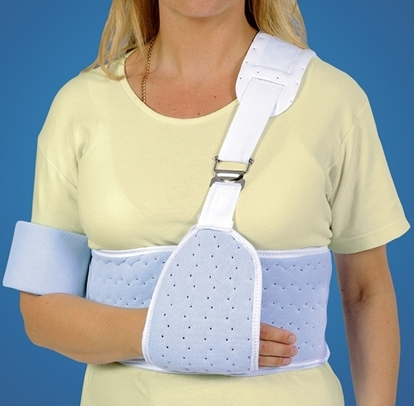 Shoulder-arm-support pouch for holding arm in secure adduction position.